For years I have really, really liked monograms. I love them on robes and towels, stationery and gold charms. 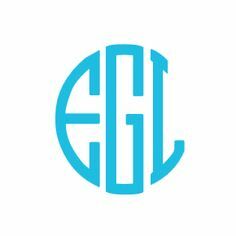 I didn’t grow up with monograms and discovered them in college. Maybe it was the preppy ‘80s or maybe it was the Greek life, but it was love at first sight for me. Back then they were reserved for special items but today they are everywhere! On the back of a car? No, no, and just no! I remember the day when you had to take something to be monogrammed. Today all you need do is step into any gift or home store and voila, anything and everything you want is already monogrammed for you! Wine glasses. Hand towels. Make-up cases. It’s all there ready to purchase. Sigh. 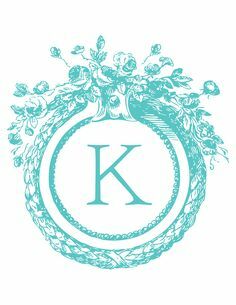 Monograms are considered one of the oldest forms of identification and really took off in the Victorian era. It was then, during Queen Victoria’s reign in the 19th century that the bourgeoisie took to monogramming everything and anything. Kinda sounds like what’s happening today. Originally they were used as a sign of royalty and status. It wasn’t uncommon to see a royal or aristocrat’s initials on everything from dishes, to flags, to weapons, to coats-of-arms. Greeks and Romans were even known to put their initials on coins of their ruling entities. Artists in the Middle Ages signed their work with monograms and even today you can often tell when an artist painted something by the initials they used to sign it. For instance, Rembrandt originally signed his works with RH but later switched to RHL. 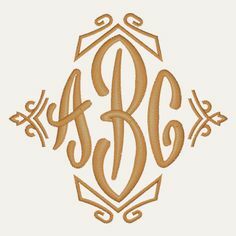 Technically a monogram is a set of letters combined in a decorative way to identify a person’s belongings. Consider them a type of branding if you will. They have been used for centuries and date as far back as Ancient Greece. I was surprised, however, to learn that the popular three-letter format wasn’t prevalent until the 18th century. 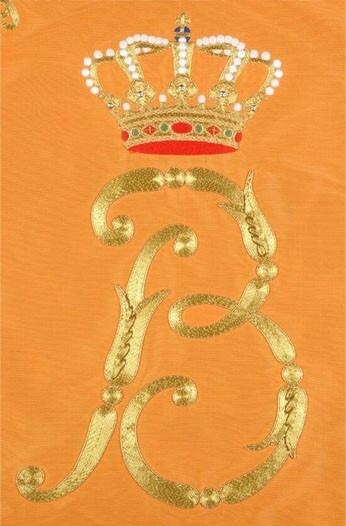 Before that it was all about only two letters, which British royals still use. 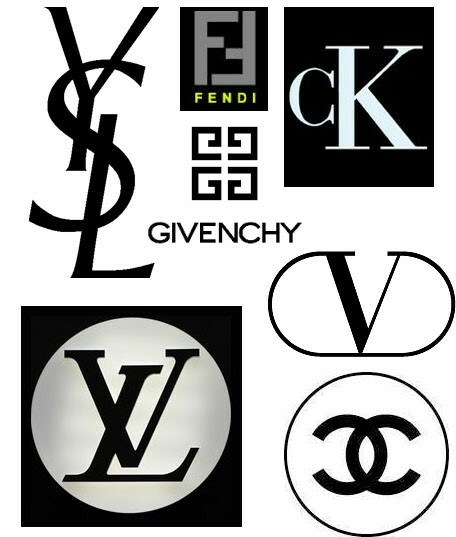 Some of the most famous monograms can be found in the fashion world. Who hasn’t seen one of these logos and said the designer’s name along with it? Today monogramming is no longer considered a signifier of wealth or status and its popularity is somewhat regional in the U.S. At Book Club this week I heard varied opinions. My friend from Maryland swears by them and gave each of her daughters a signet ring for graduation while another friend from Chicago basically said ixnay on monogramsay. Good to know that everyone hasn’t jumped on the current monogram madness but enter a store or flip through a catalog and you’ll find choices ad nauseam. Still, in many ways it’s liked by those who are either very traditional or classically old school. I’d say it’s biggest in the south and then perhaps in prepster parts of the northeast. I’ve always considered a monogram somewhat formal and reserved for special items. 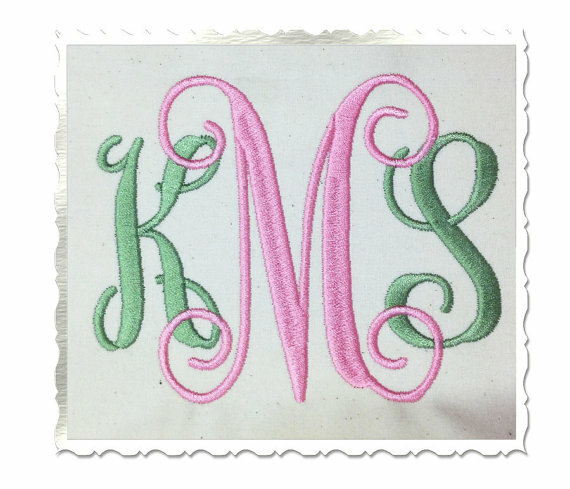 Monogrammed pillow shams and note cards? Yes, I’m all in. If you have any monogrammed heirlooms from grandma or great Aunt Jean, consider them real keepers. 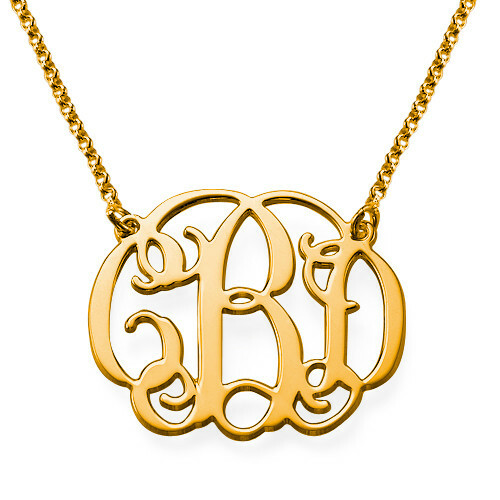 Monogramming is also a great way to personalize gifts for newlyweds and graduates. But, thinking of monogramming a wall? Think again! In the case of gift giving, it’s recommended you stick with items that can be handed down from generation to generation, like jewelry or silver platters, rather than sweaters or glassware. 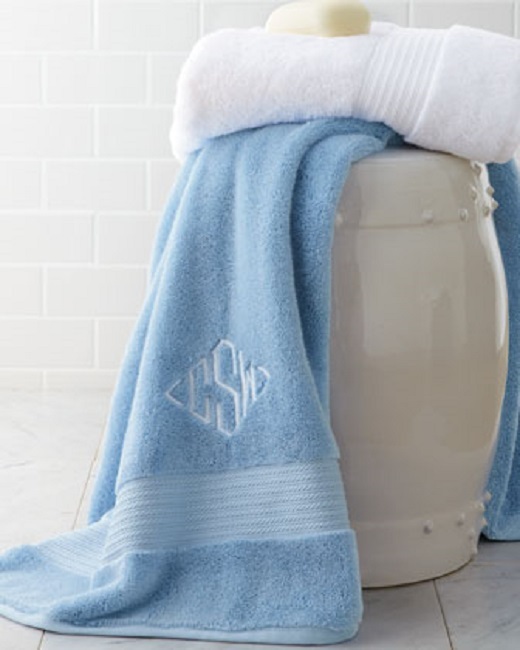 Monogramming napkins and towels is also very popular. 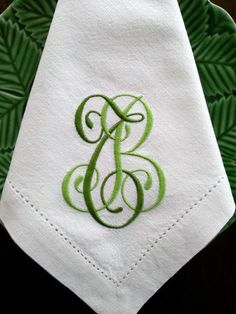 For napkins, place a monogram in the left corner because when folded in a triangle it will appear at the napkin’s point and when folded as a rectangle, it will be on the lower outside corner. As with anything historic or highly traditional, there is a protocol for what to monogram, how to monogram, and what to leave well enough alone. Monogram etiquette varies, but some things are tried and true. Most popular is perhaps the Victorian format where your monogram includes your initials in this order, reading left to right: first name first initial, last name first initial, and middle name first initial with your last name initial slightly larger. For Jane Ann Smith, the monogram would be JSA. 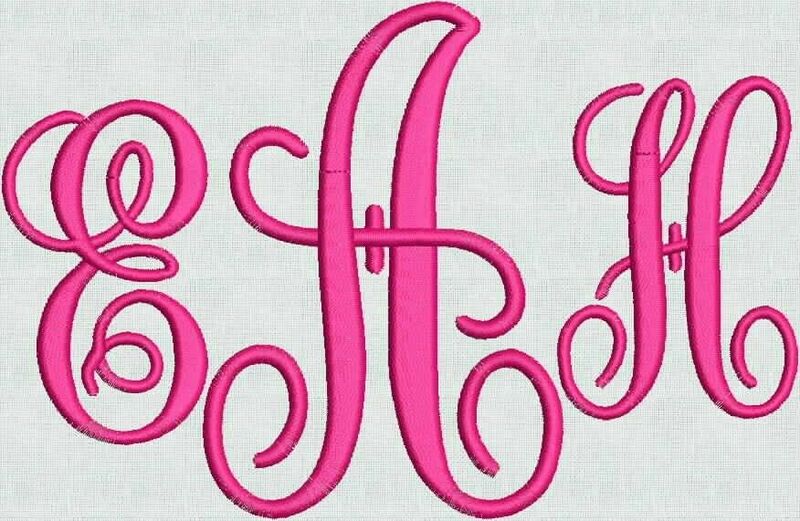 If you prefer to use the same size font on the monogram, do so in your name’s order. Jane Ann Smith would be JAS with all letters being the same size. Couples are a whole other story. Tradition is to do the monogram in this order: bride’s first name initial, groom’s last name initial, groom’s first name initial. 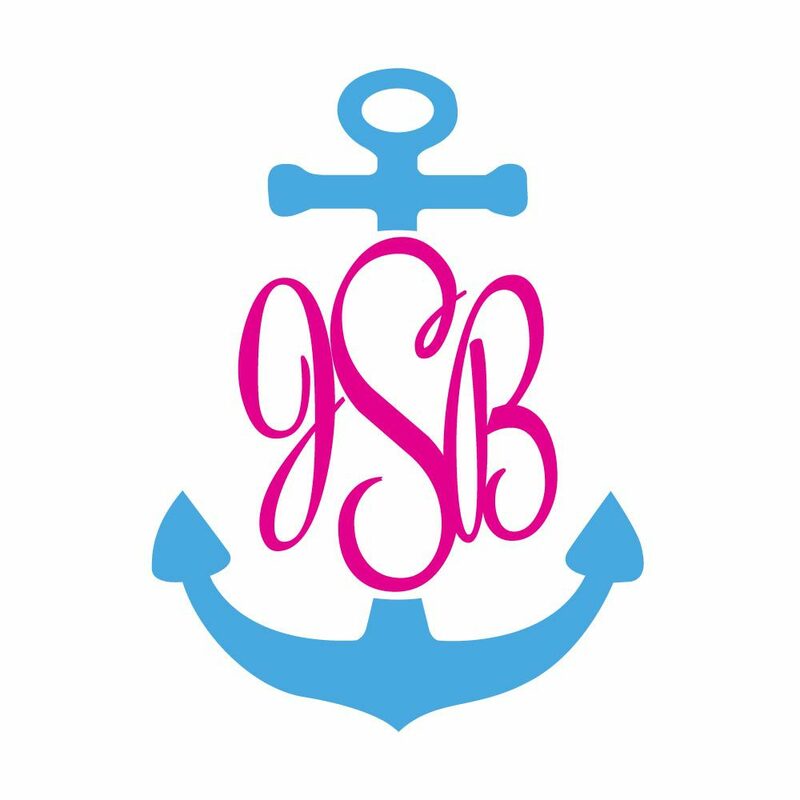 Thus, Jan and Dan Smith’s monogram would be JSD, with the S being slightly bigger. A bride can also personalize her belongings using her maiden name initial, as in Jane Davis Smith becoming JSD. Confused? Don’t be. It’s all very simple once you think about it. The fun part is creating designs all your own using the plethora of fonts, styles, and thread colors out there. Ivory and gold is very traditional and according to Jane Scott and Southern Living magazine, is considered the “little black dress” of tablescaping. Other popular twists on tradition are using your entire name or just your last name initial in a bold and eye-catching manner. When in doubt, think vintage. The older the better. I love the story about writer and monogram devotee Clare Perretta who told Forbes magazine that her initials are CJP, the same as her father’s, because her mom wanted her to be able to use all her dad’s monogrammed items. Genius! I suggest you have fun with monogramming but don’t go overboard. The final rule of monogramming is to do it discreetly and with discretion.